Our biking camps run the gamut—we start with teaching new riders, pre-K – 1st grade, to balance and pedal, instruct new mountain bikers on skills on local dirt trails, help experienced mountain bikers advance their technical skills, and even offer freeriding and expedition mountain biking camps. Biking is an amazing sport that provides independence, increases confidence, and delivers incredible joy at all ability levels. Learn about our approach to teaching biking by watching the video and reading more below. Child can name or point to at least 3 parts of their bike. Child can walk next to their bike with wobbly control while holding the handle bars. Child can turn the bike around to change direction while holding the handle bars. Child can walk next to their bike with control, in a straight line, while holding the handle bars. Child can sit on the seat of their bike and walk it forward with wobbly control. Child can walk their bike forward in a straight line while sitting on the seat with steady control. Child can “fast walk” or stride their bike forward with control. Child can scoot their bike forward with both feet in control. Child can scoot/walk their bike forward with their head and eyes up. Child can coast short distances (3-5 feet) on a slight downhill. Child can coast longer distances (more than 10 feet) with control. Child can coast with enough speed to get over small ramps or obstacles. Child can coast and make turns both directions with control. Child can touch one foot to a pedal while coasting. Child can touch both feet to both pedals while coasting. Child can touch pedals and start a forward motion with their pedals. Child can pedal short distances (5-10 feet) before having to put a foot down. Child can keep a sustained pedaling motion while going straight ahead. Child can pedal while looking forward. Child can use braking devices on their bike to stop. Child can turn in both directions with control while riding their bike. Child can pedal up small up-hills. Child can maneuver their bike around obstacles. Child can pedal with enough speed to ride over small ramps and obstacles. Child can ride on different surfaces effectively (asphalt, grass, dirt trail). Child can stand up on their pedals while riding. Child can pedal while standing up. Child can pedal up sustained up-hills. Child is beginning to learn appropriate body positioning for uphill/downhill/obstacles. Child can do a reverse push-up wheelie. Every camper at Avid4 Adventure receives a passport outlining the skills we’ll teach at camp. Given that campers have varying levels of expertise with our sports, instructors group campers according to ability to provide them the right level of challenge. Below is a list of skills we take campers through with mountain biking. By attending multiple weeks and summers, campers can master skills from Junior Rippers to Slick Rockers! I can maneuver my bike around obstacles. I can pedal with enough speed to ride over small ramps and obstacles. I can ride on different surfaces effectively (asphalt, grass, dirt trail). I know how to safely ride with a group. I know how to practice Leave No Trace while biking. I know how to use hand brakes on my bike to stop. I can do a pre-ride safety check on my bike. I have learned and can demo how to shift gears. I can pedal while standing up. I can make large radius turns through cones or obstacles on the trail. I can do a reverse push up (pop up) wheelie. I know who has the right of way on the trail. I can safely ride on single-track trails. I can shift weight to keep traction on different terrain. I can maintain attack position. I can “pop” over small obstacles when riding on a trail. I can “bunny hop” my bike. I can make tighter, medium radius turns through cones or obstacles. I can do a track stand (balancing without moving) for 15 sec. I can make tight, controlled, small radius turns. I can anticipate shifting gears based on the terrain. I can fix my brakes, derailleur, flat tires, and chain. I can ride safely and in control down rocky, steep downhills. I can bunny hop over medium sized obstacles. I can pedal into a wheelie for short distances. Bikers attending Valmont Bike Park Camp in Boulder must be entering 2nd – 11th grades and should already have experience pedaling without training wheels. Instructors group campers according to ability to provide them the right level of challenge. Below is a list of skills we take campers through at our freeriding camp. Every camper receives a passport outlining these skills. By attending multiple weeks and summers, campers can master skills from Digger to Trail Boss! I can identify and use brakes and pedals. I can correctly put on knee pads, elbow pads, gloves and helmet. I can maintain balance while turning left and right. I can ride while standing. I can coast with level pedals. I can ride and shift weight forward/back, lean bike left/right. I can pedal around and over some features in Skillz Loop. I can pedal around and through Creekside Pump Track. I can pedal around and over some features on Dirt 101 XC Loop. I can safely yield and roll through XC trail intersections in the Glades. I can roll over features found on XS DirtJump trail. I am beginning to understand Leave No Trace Trail Principles. I am beginning to understand Trail & Park Etiquette. I can roll in to Creekside Pump Track from starting deck. I can exhibit basic pump mechanics on varied terrain. I can exhibit basic cornering tactics on varied terrain. I can navigate through berms in Creekside Pump Track while standing. I can safely decide between continuing or stopping through varied terrain. I can complete a stop without skidding on flat ground. I can ride around and over some features found on Glades trails. I can safely slow-ride XS Dirtjumps trails while standing. I can safely slow-ride S Slopestyle trails while standing. I can stop without skidding on varied terrain. I can explain basic principles of Leave No Trace. I can explain basic principles of Trail & Park Etiquette. I can safely attempt various beginner and intermediate features found on Glades trails. I can demonstrate body and bike lean in turns. I can get controlled air on XS DirtJumps. I can get air on S Slopestyle. I can safely slow-ride S DirtJumps while standing with level pedals. I can safely slow-ride S Slopestyle while standing with level pedals. I can safely slow-ride Corkscrew. I can apply and adapt fundamentals to new terrain without instruction. I can thoroughly explain park and trail etiquette. I can safely ride over Glades trail features taller than pedal height. I can ride through varied terrain while demonstrating confidence. I can safely evaluate new lines “look before I leap” mentality. I can get air on S DirtJumps. I can clear step up on S DirtJump line. I can safely drop the first bridge on M Slopestyle. I can safely slow-ride M DirtJumps. I can ride the wall ride at bottom of Corkscrew. I can begin to visualize process for approaching new terrain. I can slow-ride Dual Slalom course. I can pump through Creekside Pump Track without pedaling. I can manual pump in Creekside Pump Track. I can verbally explain the process of approaching new terrain. I can successfully predict outcomes prior to navigating new terrain. I can encourage others in use of trail etiquette through demonstration. I can ride all familiar trails with consistent speed and without stopping. I can ride over almost all trail features in Glades. I can clear M DirtJumps. I can safely drop 2nd bridge on M Slopestyle. I can begin riding with style over smaller features on varied trails. I can effectively choose various approaches to a Glades feature based on speed. I can successfully ride through the entire SandBox. I can pump through MesaTop Pump Track without pedaling. I can visually & verbally understand mechanics of jumping the L Dirtjumps & Slopestyle. I can jump some features on DualSlalom course. I can jump-pump Creekside Pump Track. I can demonstrate confidence while approaching new terrain. I appropriately react in semi- “loss-of-control” situations on DirtJumps & Slopestyle. I can appropriately react in semi- “loss-of-control” situations on Glades trails. I can recognize riding errors and explain fundamentals of how to fix them. I can identify various lines and trail options based on speed on Glades trails. I can identify various lines and transfers on DirtJumps. I can identify various lines and transfers on Slopestyle. I can ride L Slopestyle trail features. I can add style with airs over jump features. I can pump through a complete loop on MesaTop Pump Track with less than 5 pedals. I manual pump on MesaTop Pump Track. I can confidently ride all differing terrain and features at VBP. I can confidently control speed without pedaling or using brakes. I can adjust my body position in anticipation of varying terrain. I can adjust bike position in anticipation of varying terrain. I demonstrate thorough understanding of Trail & Park Etiquette. I demonstrate thorough understanding of Leave No Trace Ethics. I can manipulate my bike to jump high or low from a consistent jump feature. I demonstrate confidence in the air while jumping. I can ride all XL Slopestyle trail features. I can jump all XL DirtJumps. I can ride over and through all trail features on Glades trails. I can add style and tricks to airs over DirtJump features. I can add style and tricks to airs over Slopestyle features. I can manual pump and jump pump at various speeds in either Pump Track. I can pump through a complete loop on MesaTop Pump Track without pedaling. While campers often bring their own bikes to our camps, and are encouraged to do so, we provide bikes and helmets for all campers. We use Specialized bikes for all of our biking programs due to their performance and quality. At the end of each summer, we sell all of our bikes at a discounted rate, so each summer campers are riding on new bikes! For kids just learning to ride in pre-K- 1st grade, we use the Specialized Hotwalk balance bike. A balance bike is a great training bicycle as it has no pedals and really helps a new rider focus on balance. For riders ready for pedals, we’ll use the Specialized Riprock Coaster. The geometry of the Specialized bike provides ample room for kids’ knees (so they don’t hit the handlebars), and the seat height still allows their feet to touch the ground. Here is a helpful article on how to pick a bike for child age 2-5. All kids attending our multi-sport day camps, whether Explorer, Skills or Adventure, and overnight camps will participate in at least one day of mountain biking. We take kids to local trails where they will practice riding on dirt to learn mountain biking skills at an appropriate level of challenge for their abilities. Our Specialized bikes for kids ages 10 and up have disc brakes, rather than rim brakes, which provides increased braking power. Please see the complete list of bike models we use below. All biking helmets are certified by the Consumer Product Safety Commission. What makes one helmet different from another is fit and ventilation. We focus on teaching campers correct fit, which is a) the helmet should come down on the forehead 1-2 fingers above the eyebrows, b) the plastic piece joining the two straps that come off each side of the helmet should be underneath the ear, and c) you shouldn’t be able to pull buckle around the chin. At our Valmont Bike Park camp in Boulder, Colorado, where we teach freeriding skills, kids use the Specialized P.20 Grom bike. This is a single speed bike (no derailleur, no gears) with a low non-adjustable seat as the rider should be standing on the pedals at all times. We use RaceFace Protekt arm & leg pads which cover the knee through the full shin and the elbow through part of the forearm. The helmets we use are Bell Sidetrack Youth MIPS equipped helmets. MIPS stands for multi-directional impact protection system, which is a design meant to reduce rotational motion and force to the brain by absorbing energy in case of an impact. Learn to Bike – This half day camp teaches kids ages 3 1/2 – 1st graders how to scoot, coast, and ultimately pedal! Biking for Tykes – Designed for young riders entering Pre-K – 1st grades who can pedal without training wheels, kids learn new biking skills, hand signals, and more. Explorer, Skills, and Adventure – At these multi-sport camps for K – 7th graders, campers do a different adventure sport every day and bike at least one day of the program. Explorers spend two days biking and improving this important and fun skill! Mountain Biking – Kids entering 2nd-7th grades visit local trails every day of the session to learn technical skills for riding ascending, descending, and winding trails and hills. They learn proper fit of biking gear, commands and trail etiquette. Campers are grouped by grade and ability. Mountain Biking Level II – Campers entering 4th – 7th grade tackle single track trails every day of the session as they advance their skills on rugged, rooted, and rocky terrain. Girls Shred Camp – Based out of Valmont Bike Park in Boulder, CO, 2nd-7th grade beginners through advanced riders learn skills according to their ability on each type of terrain at this famous bike park. Valmont Bike Park Camp – Campers entering 2nd-11th grades learn basic through advanced freeriding techniques at Boulder, Colorado’s famous bike park. 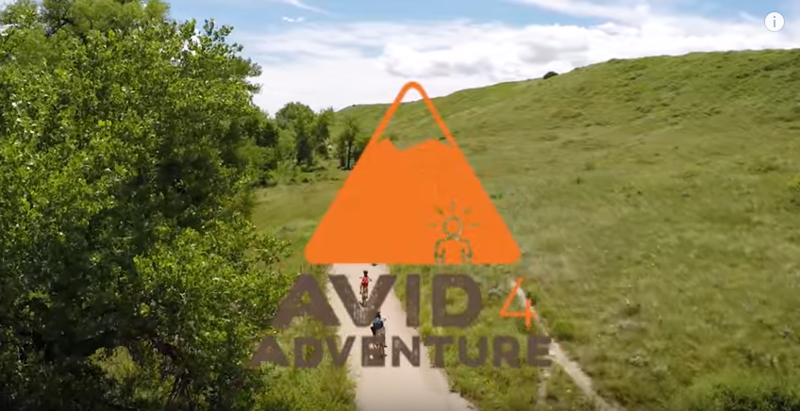 Expedition Biking Camp – Entering 5th-6th graders, travel to Crested Butte, Colorado to spend one week mountain biking and camping. Designed for campers who have mountain biking experience and are excited to shred on backcountry trails. Learn More. Please visit the website page for your camp location to learn what is offered in your area and more about the the locations we’ll travel to. While no outdoor adventure is totally risk-free, we work hard to minimize risk. Every activity starts with an environmental briefing. During an environmental briefing, campers assess their natural surroundings and the potential risks involved. With the guidance of their instructors, they determine ways the group can stay safe. As a result, kids learn how to approach new challenges with intelligence and confidence. In addition, we fit all equipment before setting out on adventures making sure helmets and bikes fit and work properly. We teach campers to go through the ABCs of biking which are checking and inspecting the air in the tires, the brakes, the chain, danglers (shoelaces or straps that may get caught), and everything else. Instructors ensure that campers remain well hydrated throughout their adventures with extra water on-hand and reapply sunscreen regularly. All instructors are CPR and Wilderness First Aid certified, however, many have additional certifications. We take a challenge by choice approach to biking where campers are taught to engage in new challenges and set goals that they feel comfortable with. We meet campers where they’re at and provide opportunities for skill development and personal growth.